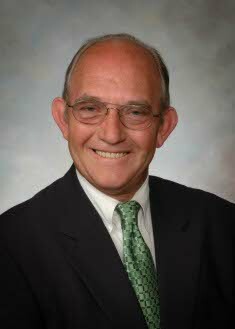 Calvin Spencer “Penny” Shields, 66, of Horn Lake, Mississippi, passed away Wednesday, April 10, 2019, at his residence. A visitation will be held Saturday, April 13, 2019 from 11:00 a.m. to 1:00 p.m. at Desoto Hills Baptist Church (4680 Getwell Rd, Southaven, MS 38672). Twin Oaks Funeral Home is in charge of arrangements. “Penny” was born in Water Valley, MS on September 20, 1952 to Buford Spencer and Lorene Peeples Shields. When they brought him home his brother asked “Is he ours?” Can we keep him? His nickname came from his brother who couldn’t say Spencer and instead said Spenny. So it was shortened to “Penny”. He started working in his Dad’s shoe shop as a child. When they would open the shop every morning there was an older black man named Cal that would always call him “Boss Man”. Penny graduated in 1970 from Water Valley High School. He and Carol married on June 3, 1973 at 3p.m. in the afternoon. Penny loved working and especially with his hands. He worked many jobs and achieved many things but his passion was his Shoe Repair. He was the Director of Operations for the City of Horn Lake. He was on the Board of Commissioners for DCRU A (Desoto County Regional Utility Authority. Calvin leaves behind his loving wife of 46 years, Carol Shields daughter, Penny Marie (Grant) Holley; son, Spencer (Crystal) Shields; grandchildren, Brayden Holley, Barrett Holley, Bryant Holley and Blake Holley, Logan Holley Jones; Nathan and Bailee Shields, siblings, Yvonne Shields, Carl (Jane) Shields, Alice (John) Henderson; and a host of nieces and nephews. Calvin is preceded in death by his parents. The family would like to express special thanks for the care and love provided by Dr. Raymond Osarogiagbon, Laura McHugh, and Deana Sexton who nicknamed him “trouble”. In lieu of flowers, memorials can be made out to Friends of Horn Lake (6520 Center St E, Horn Lake, MS 38637).